All of we book moochers have one! Some of us do not like to admit just how big that pile really is. Is it ten books high, or perhaps 40 books high? Do you have them categorized, or are they simply all over the place? Are they high, or low, under the bed, or over the head? Now that we think of it, Are they BOTH? Are they hidden in the bathroom, Or hiding in the hidden closet in the basement? Does your family REALLY know how many you really have, Or just a fraction of an idea? This is your time to share with your Bookmooch friends What your TBR pile is all about. What type of books do you enjoy? Do you have lots of books that you want to learn about a particular subject? 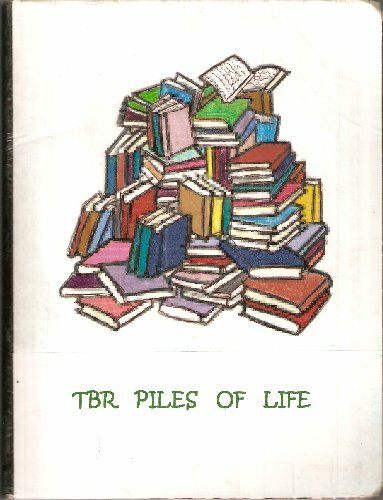 Do you have piles and piles of “why did I EVER mooch THAT book? All I ask is to not to change anyone’s work, or write over it, or cover it up. Keep within the two week time limit, and then post it to have some one else mooch it. When this journal is full, please send it back to: Debbie Hoggan (Bookmooch ID: hogganclan).